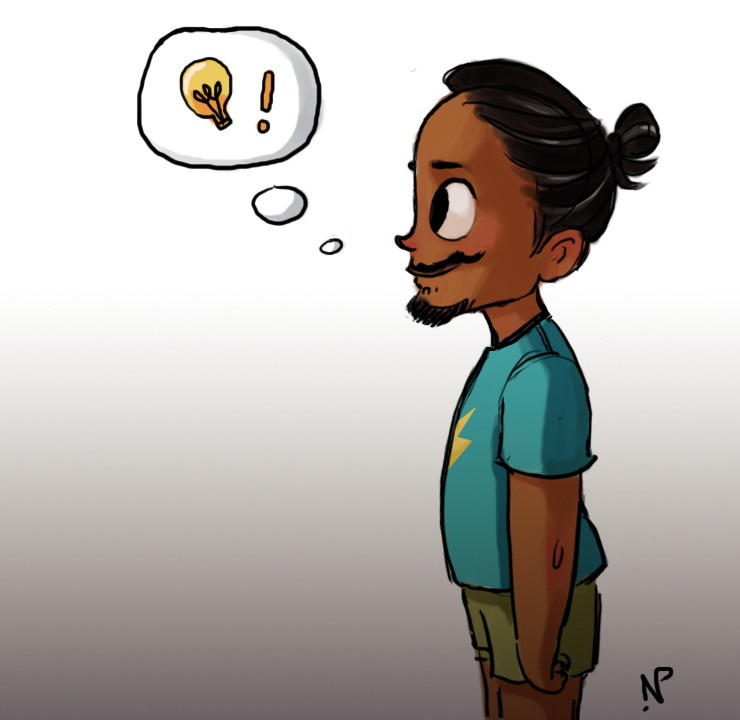 Did a cute chibi version of Arvind last night while boarding on a project! He doesn't ever look THIS happy and cute, but I love where he's going with his hair these days. Total samurai! And you'll never get to see him this chubby and cute because of his pahadi genes. Enjoy! Here's his wonderful work, if you're interested > JumpingDot.